The secret ingredient that makes every recipe better is a story. In this installment of our Secret Ingredients series, a simple scone recipe becomes a reminder to pause and enjoy life’s goodness. Blustery is the best word to describe winter evenings in western Tennessee. There might not be snow falling, but the desire to take refuge in a cozy kitchen is just as strong as if there were. I spent one such evening at a friend’s apartment six years ago listening to Ingrid Michaelson’s ukele melody “You and I” on repeat, baking scones and learning to treasure life’s small, yet immensely good, things. This friend of mine, Jennifer, believed in the value of scattering little, elegant pleasures throughout your day — like fresh flowers on an end table, her grandmother’s delicate china teacups, a piece of dark chocolate after dinner. Years before Pinterest came into existence, she taught me to keep a “good things” notebook, filled with dreamy recipes, practical how-to articles, fashion inspiration and photos that spoke to me of beauty. But more than an appreciation for material things, Jennifer showed me how to savor a moment, big or small. This is why an unmarked winter evening’s freshly baked raspberry scones and dark-roasted, French-pressed coffee still stand out in my memory. The wisdom I gained from her conversation on that occasion (and many others) still leaves its mark on my life. To this day, Jennifer’s scone recipe, written on her flour-smudged, monogrammed stationery, remains one of my “good things.” These scones are not for grab-and-go breakfasts or snacks. Don’t eat them at your desk, half-distracted by your email inbox, or with your phone in one hand. No, these are scones for nibbling as you stare out the window, hands wrapped around a mug of rich, aromatic coffee. For dipping in hot tea on a quiet afternoon with a good book. For sharing with a dear friend. These are scones for delighting your taste buds while treating your mind to the gifts of introspection, imagination and conversation — truly good and lasting things. 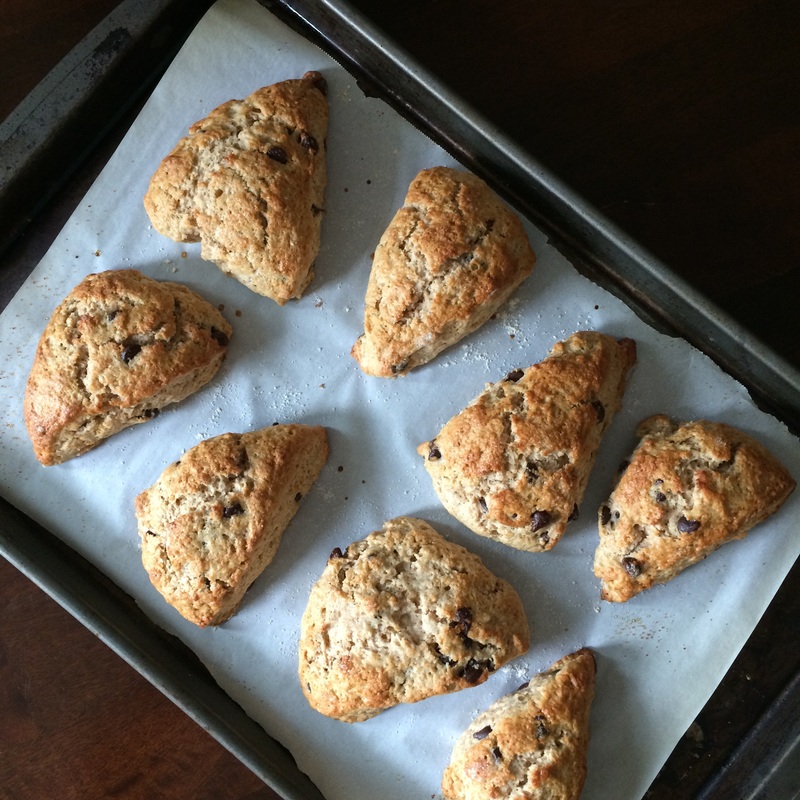 Mix-in ideas: This is where you can be creative and make this scone recipe your own! Generally, I recommend mix-ins that will “smear” throughout the dough to better distribute their flavor. Raspberries and blueberries work wonderfully; diced apple did not (next time, I would try grated apple). I also like to use dark chocolate chips, 1 teaspoon of orange zest and 1/2 to 1 teaspoon of cardamom (leaving out the cinnamon, adding the cardamom to the dry ingredients and mixing the orange zest into the heavy cream before adding it to the dry ingredients). In a large bowl, whisk together the flour, sugar, baking powder, cinnamon and salt. Make a “well” in the dry ingredients and pour in the heavy cream. Mix just until combined, then fold in the mix-ins. Do not over-mix. The dough will be very sticky. Turn dough out onto a (very) well-floured surface. Pat into a circle approximately 3/4-inch thick. Tip: Using slightly wet hands will help keep the dough from sticking to you. Using a sharp, well-floured knife, cut circle into 8 triangles. Place on baking sheet, then brush with egg wash and sprinkle with sugar, if desired. Bake for approximately 15 minutes, or until golden brown. Let cool on baking sheet for 5 minutes before removing to a cooling rack or enjoying warm! A note about heavy cream: Many scone recipes call for cold butter or shortening to be cut into the flour. This recipe instead uses heavy cream, which comes in at about half the calories and fat per tablespoon as butter. To further cut down on the fat, I have replaced up to 1/4 cup of the heavy cream with 2% milk with success, but much more than that and you’ll end up with a spongy, dense scone, rather than the perfect crumb. A note about flour: While I’ve successfully made these scones with unbleached, all-purpose white flour and stone-ground wheat flour, Jennifer recommended White Lily flour (we were in the South, after all). For a more natural brand, try Bob’s Red Mill Unbleached White Fine Pastry Flour and Whole Wheat Pastry Flour. Whatever you use, I do not recommend using more than 3/4 cup whole wheat flour, as this will make the scones too dense. What recipe helps you to slow down and enjoy the present moment? 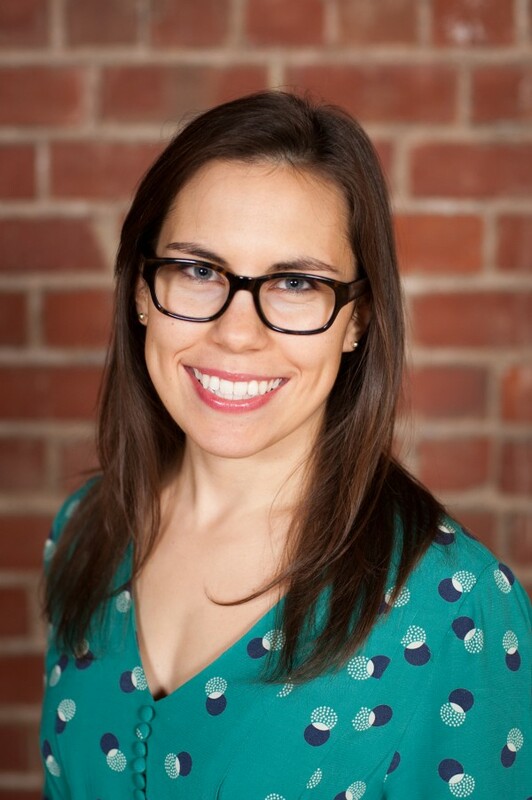 About the author: Katie is a content management specialist for Frontier, Simply Organic and Aura Cacia, spending her days bringing to life articles, recipes, images and other information about natural living. When she isn’t salivating over new cooking projects or discovering her latest essential oil obsession, Katie loves to run, practice yoga, read multiple books at once and experiment in the kitchen. This entry was posted in In the kitchen and tagged Secret Ingredients by Cayenne Room. Bookmark the permalink.